? ?Sime Vrsaljko enjoyed a remarkable season of success during the 2017/18 campaign, starring at right back for ?Atletico Madrid as the Spanish giants finished as runners-up to ?Barcelona in La Liga and winning the Europa League, before going on to reach the World Cup final with Croatia this summer. 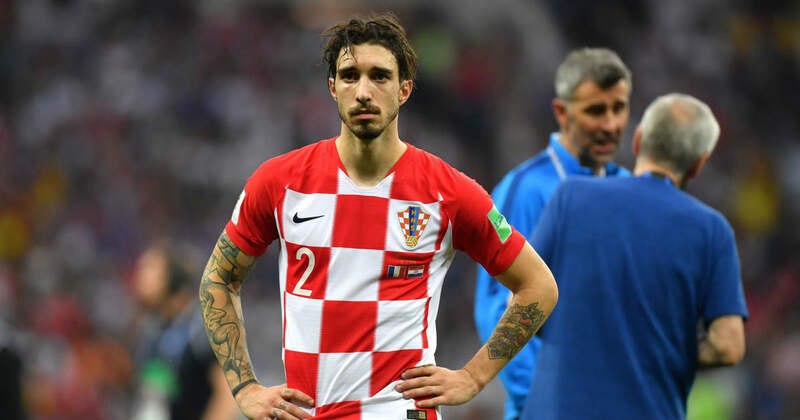 Despite suffering defeat to France in the final in Russia, Vrsaljko’s stock has certainly risen in the past 12 months, and his consistently reliable performances for both club and country have reportedly seen the defender attract interest from other clubs around the continent. According to Gazzetta dello Sport, via ?Football-Italia, a deal has now been struck for Vrsaljko to make the switch from La Liga to Serie A, where the Croatian had previously played for Sassuolo, as it is said that ?Inter have agreed a move with Atletico in principle for his services. The deal would apparently see the 26-year-old move to the San Siro on an initial one-year loan deal for a fee of €8m, with the option to buy Vrsaljko on a permanent basis next year for a further €18m. It is said that the move is already agreed in principle and could be finalised imminently. The move comes as something of a surprise, with Vrsaljko having largely established himself as Atletico’s first choice right back in recent times ahead of Spanish veteran Juanfran. Diego Simeone’s side have so far enjoyed a busy summer of business which has seen the Europa League winners secure the signing of Thomas Lemar from Monaco and the recently completed acquisition of Gelson Martins from Sporting CP; while Antoine Griezmann and Lucas Hernandez have also signed fresh terms to commit their futures to the club. Vrsaljko’s departure from the Wanda Metropolitano would create a void on the right-hand side of Simeone’s defence, although Atletico’s loss is certainly Inter’s gain, as the Italian giants are in need of a new right back this summer. Luciano Spalletti’s side missed out on bringing Joao Cancelo to the San Siro on a permanent basis, following a loan spell with I Nerazzurri last season, with the Portuguese full back opting instead to complete a big-money switch to Inter’s domestic rivals Juventus. Vrsaljko’s arrival would therefore provide a timely boost to Spalletti’s plans ahead of the upcoming season, as Inter look to build upon a fourth-place finish in Serie A last term and assume their place in the Champions League once again in the upcoming campaign.